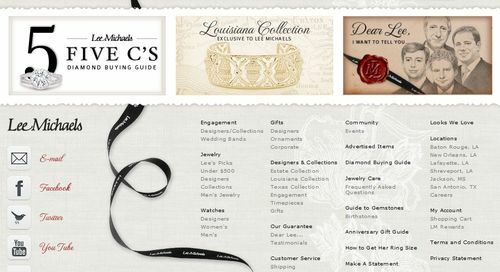 Lee Michaels sells fine jewelry in eight locations in Texas, Louisiana, and Mississippi. They are focused on selling only the best. They present collections from the best designers in the world. They have a wide range of fine jewelry for any and every occasion. They particularly enjoy celebrating special occasions with their customers. Most people shop for jewelry only for special occasions. 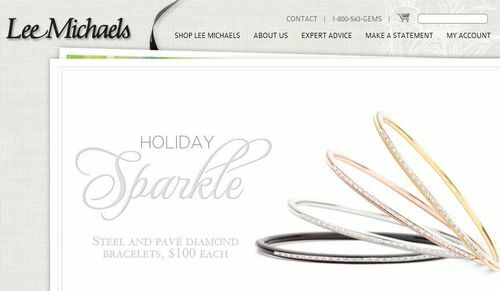 Lee Michaels Fine Jewelry loves providing a great piece of jewelry along with a great experience for every event that can be celebrated with jewelry. They also specialize in upscale timepieces. 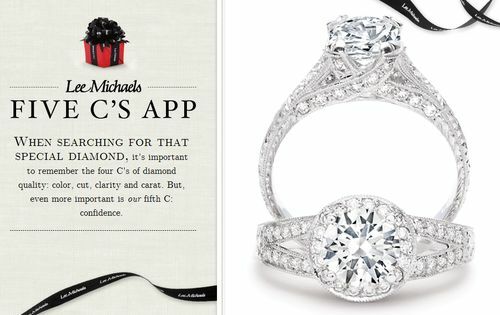 Lee Michaels Fine Jewelry is particular about it employees. They ensure that their gemologists are certified through the American Gemological Society. They have also earned credentials from Gemological Institute of America. Experienced factory trained jewelry and timepiece repair technicians are on site to make high quality repairs to any type of jewelry or timepiece. Complimentary cleaning and inspection are available at every location anytime of the day. Registered Jewelers and Certified Gemologist Appraisers are also on site to provide valuations of all kinds of jewelry. Upon request, diamond buying guides are available at Lee Michaels so that customers can be prepared to make investments in diamonds. Lee Michaels is dedicated to making their customers happy and maintaining excellent relationships with them. 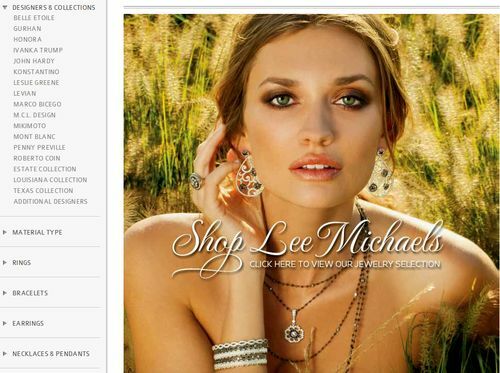 Some of the best designers in fine jewelry are available at Lee Michaels Fine Jewelry. These include Belle Etoile, David Yurman, Mikimoto, and Honora. These designers only use the best materials. They create them most fashionable and beautiful fine jewelry there is. Lee Michaels offers several of the best designers but they also have designers on site that can assist in creating custom pieces for customers. These are handcrafted at the highest quality by experienced jewelers. One of a kind pieces make wonderful gifts and always say something special for every occasion. Timepieces at Lee Michaels Fine Jewelry include pieces by Gucci, Chanel, Tag Heuer, and Hamilton. The timepieces Lee Michaels carries come from companies of history and quality. They are the best timepieces in the world. 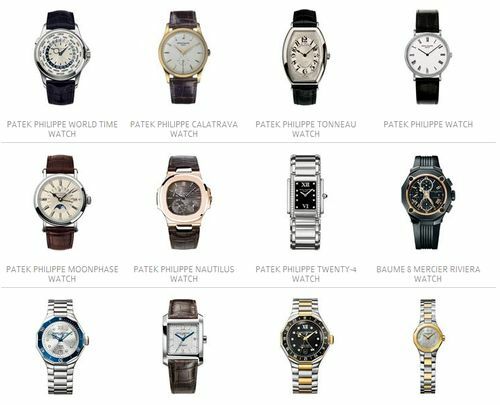 Most of the timepieces offered by Lee Michaels are watches. There are designs for both men and women that are top of the line and beautiful. These include gold watches and diamond set watches as well as platinum watches. Both high fashion and classic watches are available at Lee Michaels Jewelry. Nice watches! I like much and also want my jewelry (watch) be the one. i like these diamond rings and earrings which are looking so cute.